Or view larger version. Untitled (Portrait of a Chinese Man). ca. 1851. Isaac W. Baker, photographer. Daguerrotype. Collection of Oakland Museum of California. 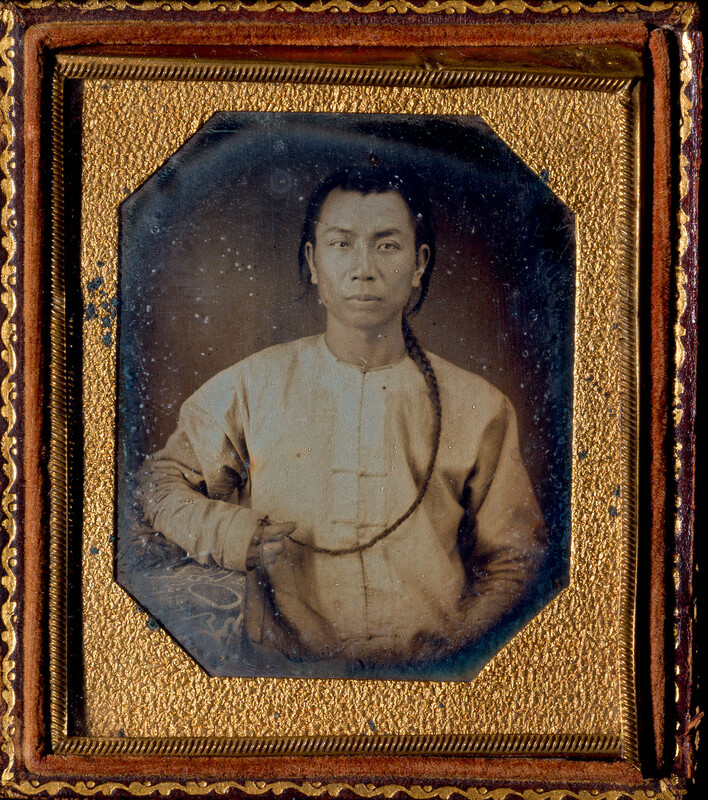 This photograph is a portrait of an anonymous Chinese man. In 1848, census figures listed only three nameless Chinese as California residents. By 1855 approximately twenty thousand Chinese men were living in the state. Chinese success in the diggings caused widespread abuse by Anglo miners. When someone was told he “didn’t have a Chinaman’s chance,” it meant his situation was hopeless.